Our 12 Days of Giveaways is coming to a close (12/9/18 – 12/20/18) and we're about to announce the last giveaway product to be drawn. Let it be known that this product must be shipped to an FFL, and not directly to you. Honor Defense, a relatively new firearm company out of Gainesville GA, is veteran owned and operated entirely in America, using materials sourced only from American companies. 100% American. We use only USA materials parts and companies. We are 100% manufactured in the USA and dedicated to keeping it that way. Honor Defense(R) will not purchase parts from foreign firms with USA operations that then outsource overseas. We support and honor American craftsmen and manufacturing. Every firearm is assembled by Veterans, then test-fired with a +P Proof load. All American. No apologies. 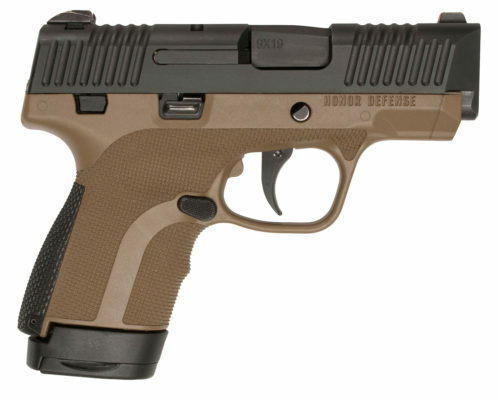 Currently, the company offers single stack, 9mm semi-automatic pistols, in 2 variations: The Sub Compact, and the Long Slide. The pistol (HG9SC) has been compared to the Smith & Wesson M&P Shield in size and does not (like the Shield) have an accessory rail. 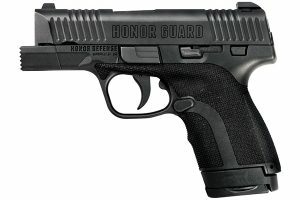 One of the most innovative designs coming out of Honor Defense is the FIST (Firearm Integrated STandoff) which allows for contact shots to be made during Close Quarters Battle (CQB). Drawing from the experiences in the military, police and shooting instructors for its design, the FIST keeps the muzzle of the gun away from the target, ensuring the pistol slide stays in battery and fires when the trigger is pulled. While the FIST may not suit everyone’s needs, we can all agree it looks cool. 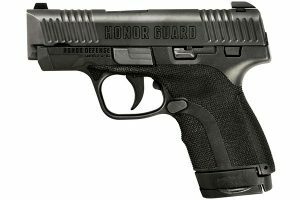 The Honor Guard fills a few voids left in the concealed carry pistol market. First is the approach to the size of the pistol. The Compact Long Slide with Accessory Rail (HG9SCLS), is similar in size to the Glock 19 which is often acknowledged as the perfect concealed carry size. Additionally, being a single stack, and not a double stack like Glock 19, allows for a slimmer profile and adds to the ease and comfortability for concealed carry although that also means less ammo capacity than a double stack. 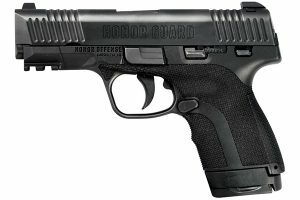 So, if you bought the sub-compact model (HG9SCMS), but have been thinking you should have purchased the long slide version, you don’t have to buy a whole new gun. Since the slides are interchangeable, simply swap them out. 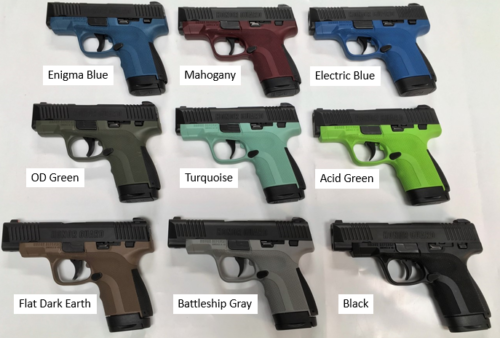 Honor Defense also offers their pistols in a variety of colors. From the normal (boring?) black, to Acid Green and Electric Blue. If you want to get in on this giveaway, you can find more information on this page. You can also read Jacob's review of this pistol, here, if you want his take on it. If you enter to win this, good luck.